An empowering book that shows teachers and leaders how to embrace a culture of risk-taking and danger in their schools - by a Headmaster who walks the walk. 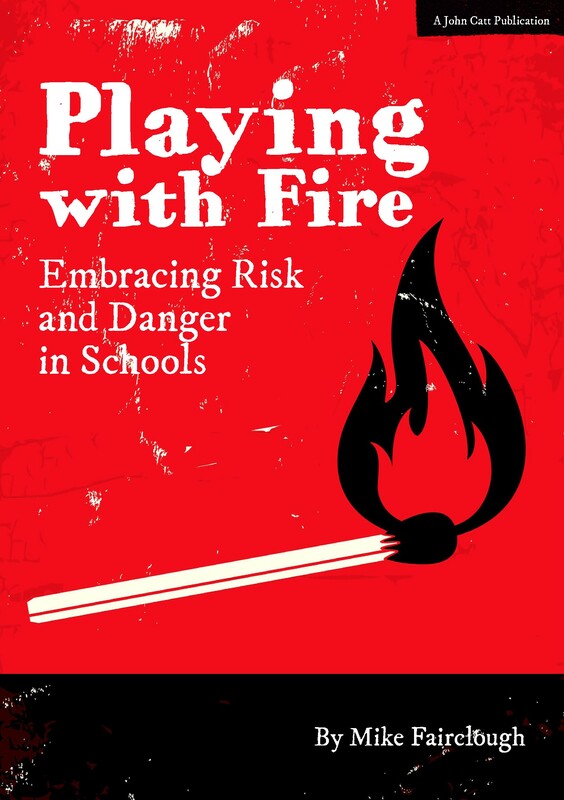 Mike Fairclough’s new book, “Playing With Fire” is about embracing Risk and Danger in schools. The book explains that the Health and Safety Executive (HSE) and Ofsted want school children to do risky and dangerous activities, from playing with conkers and throwing snowballs, to firing rifles and lighting fires. Fairclough is the Headteacher of West Rise Junior school, an award winning school in the top 5% of schools for the 2016 SATs and with the top grade from Ofsted for Behaviour and Safety. He shows the reader how to cultivate Grit and Resilience in children and move them out of their comfort zones, whilst also giving them more trust and freedom. Children can then be trusted to use guns and knives and to light fires responsibly. Fairclough also tells teachers to go to the gym and to step out of their own comfort zones and to stop complaining about “The System” if they truly want to help their pupils. West Rise is on a council estate in Eastbourne, UK. It is on the edge of marshland, which the school runs as a farm, with animals such a water buffalo and bees on it. The story behind this unusual school is revealed. The book describes the power of learning outside and its impact on child development. It also explains why Fairclough believes that children are being misdiagnosed and labelled with Autism, ADHD and anxiety and why this limits their ability to cope with life’s challenges. “Playing With Fire” offers an ideological framework within which to embrace Risk and Danger within schools and with the full permission of the authorities. An opportunity for teachers and parents to change the way in which we educate our children. Mike Fairclough is headmaster of West Rise Junior School, the TES Primary School of the Year. He is a regular contributor to the TES and conference speaker. How to Learn, the world’s largest online course. "How often do we hear teachers bemoaning the fact that there is no risk or excitement in the curriculum anymore? Mike Fairclough's book 'Playing with fire ' dispels the Health & Safety myths once and for all and offers teachers an insight into the benefits of risk and danger in the curriculum and how we can once again inject these elements into our pupil's lives.In his book, Mike offers authentic examples from across the education sector that demonstrate inspiring practice which is not only exciting and engaging-the stuff that makes life long memories-but which also has a significant impact on attitudes to learning and personal growth. I heartily recommend 'Playing with Fire' to all practitioners. Read it and use it. It will ignite the adventurer in you!"